Outback Steakhouse Steamed Green Beans are almost as good as the steaks at the Outback Steakhouse. I have a hard time passing up a loaded baked potato, but I can do it for these sweet and savory freshly steamed green beans. You can make these at home. You don’t have to go out to a steakhouse to get this delicious Outback Steakhouse steamed green beans with this CopyKat recipe. Green Beans can be dull and unexciting. Did you know that the Outback Steakhouse makes Green Beans very interesting? They add a lot of flavor to the humble green bean. 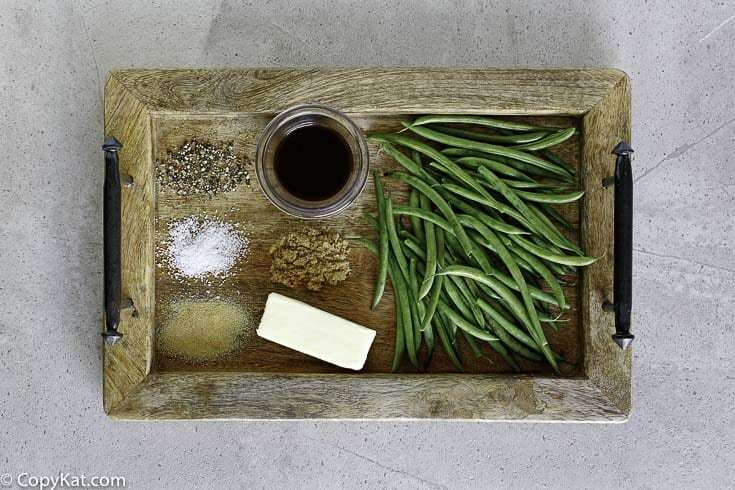 You will use fresh green beans, some Magi sauce, brown sugar, butter, garlic salt, and more. Chances are you have some of these ingredients already in your pantry. You will be surprised at how good these simple ingredients can make the ordinary green bean taste. 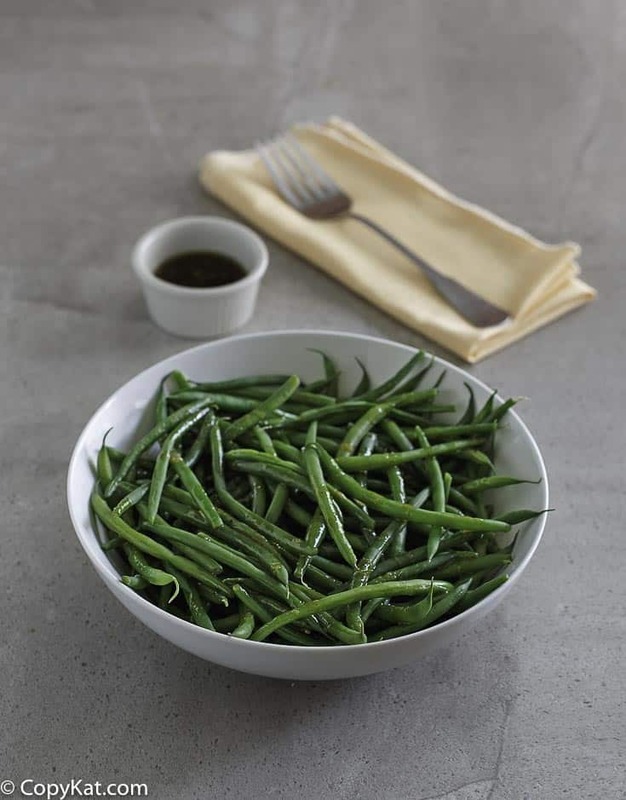 You don't have to go out for dinner to enjoy the taste of the Outback Steakhouse Steamed green beans. Instructions Steam the green beans in either a steamer or your microwave until they are just done; you want them still firm. In my microwave it takes about 2 minutes to steam the green beans. While the green beans are steaming, begin making your seasoned butter sauce.In a small saucepan over medium-low heat, combine the butter, brown sugar, Maggi seasoning, garlic powder, salt, and pepper. Stir until the brown sugar is completely dissolved. When the green beans are done, place them in a bowl. Add about half of the butter sauce, in the bowl, and stir the green beans until they are coated. Maggi seasoning is a brand with multiple bouillons, sauces and spices available. The recipe is tasty regardless but I would like to know more specifics about Maggi seasonings. I served these to my husband last night without mention of a new recipe. He immediately said, “these are the best string beans I’ve ever had! What did you do to them?” Thank you for the recipe! Our store didn’t have maggi seasoning so I did what others did and used soy sauce. Good for you 😉 It’s always great when your family loves a good meal! Mmmmmm My whole family will love these! !